It works greate. Both from distance and when i play miku. But i may sugjets that you remove the jigglybone on the arms when use miku/zoey. it kinda anoying when they jump around. wow! thats some good action i seen! Oh mine mistakes,i’ve put my dummy email. Please send again,i wanna peek up your test. sended~ have a nice day! 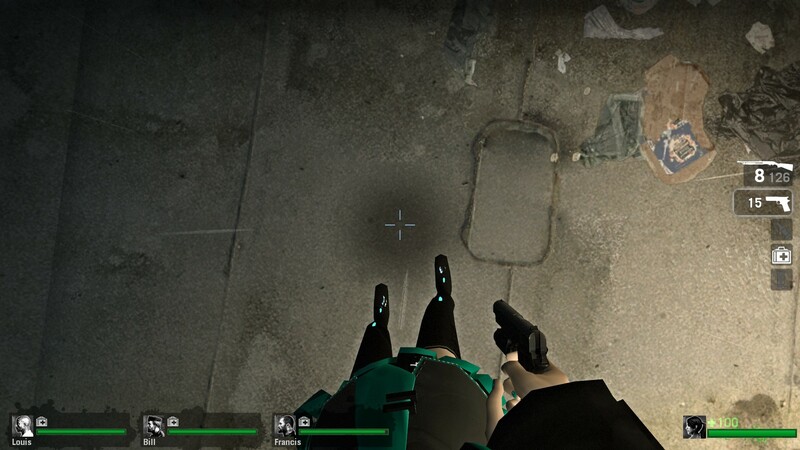 during online play (not single player) 3rd person Miku holds the weapon like a pistol (even when its a rifle) and shoots the ground like in idle stance. -Please add some neck to Miku. It looks like she has no neck. -Remove the jigglybone from the sleeves. It looks funny. 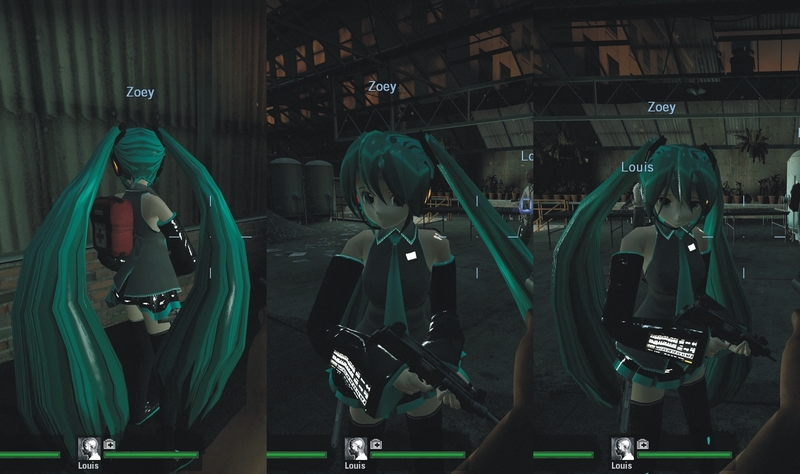 hmm miku holds all weapon like a pistols eh?… can you show the pic? thats mean 2 people already said jiggle at the sleeves in firstperson mode looks funny.. so i will delete it next time but leave the 3rd person jiggle, ok? -Looking down at legs in first person while walking forward and backward whole body clips through and can see the inside of the model. -Something clips screen sometimes when jumping. 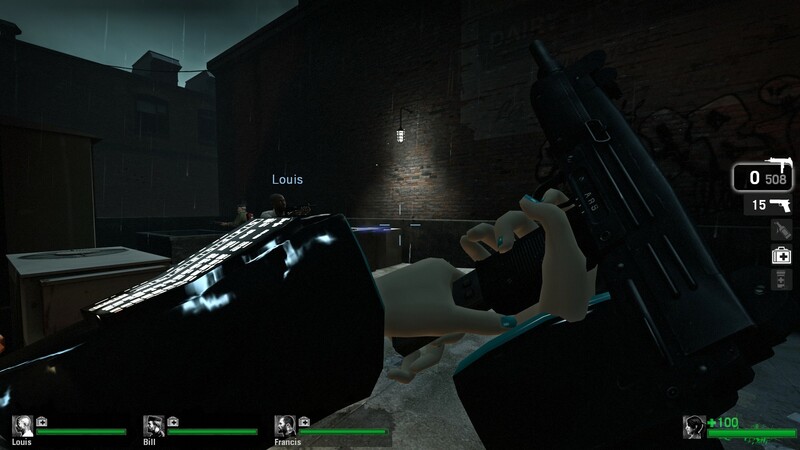 -Sleeves clip fingers when holding Uzi or when fingers. -Also remove jigglebone in first person sleeves it kinda gets annoying seeing it move. i want to test this beta model, can you give it to me ?